The following article was included in the January 2008 ENCA Newsletter (no.44) as a report on a summer 2007 ENCA study tour of Honduras. ENCA’s 2007 environmental study tour of Honduras met with our Honduran counterparts who work in a range of grassroots socio-environmental organisations there. We met and spent several days with members of the Fundación Prolansate, the Olancho Environmental Movement (MAO), the Civic Council of Popular and Indigenous Organisations of Honduras (COPINH) and the International Centre for Information on Cover Crops (CIDICCO). With several members of these organisations we also attended the launch of an Amnesty International report on ‘Persecution and Resistance: The experience of human rights defenders in Guatemala and Honduras’. Even before our involvement with Amnesty International, it is no exaggeration to say that we had been shocked by the level of danger suffered by our Honduran counterparts in these organisations. Had we been aware of this beforehand, we would have allowed ourselves at least a couple of days after each of our visits to these organisations to absorb the reality of the threats they have to live with. A little background may be helpful to explain the situation our partner organisations face, along with a few details of some of the assassinations which have already occurred and the threats currently faced. In the 1980s, whilst wars raged around Honduras, the country became known as USS Honduras for its role in harbouring, training and supplying the contras in Nicaragua. In that decade it developed its own death squads – like most of the death squads in Latin America, they were inspired and trained, overtly and covertly, by branches of the US government – to snuff out dissent and opposition within its own borders. The peace accords and the end of the wars fought in the territories of its three neighbours (Guatemala, El Salvador and Nicaragua) did not exactly bring an end to the activities of the death squads in Honduras. The political targets were replaced by those deemed appropriate for a spot of social cleansing – street children and vagrants. 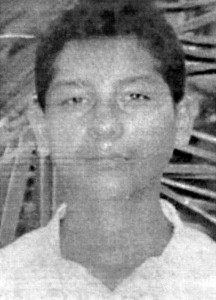 Casa Alianza (a street childrens’ organisation which works in a number of Central American capital cities) reports the violent deaths and arbitrary executions of 3,395 children and youths from 1998 to 2006 (inclusive) – a systematic form of genocide, or as Casa Alianza calls it “a selective policy of extermination”. But the death squads also began to make themselves available for other targets, one of which was provided by environmentalists and social activists who were leading protests against the indifference, disruption, dislocation and contamination caused by commercial activities and so-called development projects. Since the assassination of Jeannette Kawas in 1995, environmentalists in Honduras have been a major target for the death squads. Jeannette Kawas (pictured) was the President of Fundación Prolansate, an environmental and conservation organisation which has the responsibility for the care of a number of protected areas on the northern coast of Honduras around Tela Bay. It was as a result of her work that these areas were granted stronger protection by the Honduran state and that a large area around Punta Sal was awarded the status of a National Park. But this work did not please everyone, and the advances made during her presidency of Prolansate were seen as obstacles to the development of a number of business projects. The organisation was involved in campaigns against transnational companies which were deforesting and polluting the local environment. It was also involved in a local controversy which approved the movement of landless campesinos (supported by the Honduran Ministries of Agriculture and Tourism) into areas under Prolansate’s protection. Moreover, the area was seen as ripe for tourism investment, and land purchases by interested companies and individuals (even without the construction of tourism infrastructure) had already forced up land values and converted the area into a source of capital accumulation. 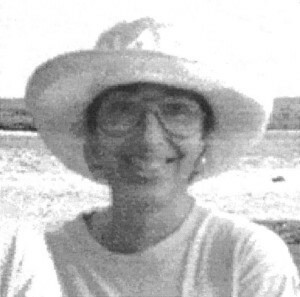 Jeannette Kawas was assassinated in February 1995, and still nobody has been brought to justice for the crime. Despite all the possible sources of violence given above, it is currently believed that the intellectual author of the crime was Jorge Montoya who had sold land for logging, the permit for which was cancelled by AFE-COHDEFOR, the state Forestry Commission, under Jeannette Kawas’ prompting and local management. 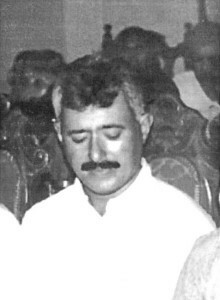 Carlos Escaleras (pictured) was assassinated in October 1997. Throughout the 1990s Carlos coordinated the efforts and campaigns of COPA, the Coordinating Body of Popular Organisations of Aguán, and in this role he often found himself and the organisation protesting about the contamination caused by a palm oil extraction plant owned by Miguel Facussé, a rich and powerful businessman and nephew of a former President of Honduras. Amongst others, Facussé has been accused of the intellectual authorship of the assassination of Carlos, but “the parliamentary immunity of some, the economic, political and military power of others and the complicity of judges and magistrates have been the obstacles to justice; as a result of these, the intellectual authors and material assassins have remained wrapped in impunity”. Carlos Antonio Luna (pictured left) was assassinated in May 1998 at the age of 42. He fought against illegal timber felling in the region of Catacamas in the department of Olancho and exposed those responsible for it. In April he received death threats, and he left with COFADEH (the Honduran Committee of Families of the Detained and Disappeared) a note to say that if anything happened to him, the intellectual authors of the threats were Lincoln Figueroa, a nationalist deputy who, it was known, had already remarked that only killing Carlos Luna would solve th eir problems; Jorge Chávez, a timber merchant; José Angel Rosa, another timber merchant who had repeatedly threatened Carlos with death; and the Soto family who were involved in the illegal exploitation and trafficking of timber. 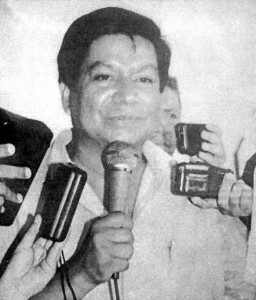 Jorge Chávez was captured in 2002 and served four years in jail, gaining his freedom in 2006. The other intellectual authors remain free. The material assassin Oscar Rodríguez is currently serving a 27 year sentence for the crime. 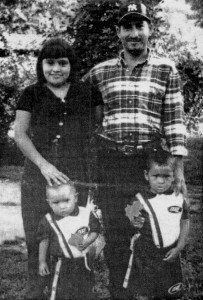 Carlos Roberto Flores (pictured right) was 28 when he was assassinated in June 2001. He paid with his life for his opposition to the Babilonia hydroelectric project. Six security guards of Energisa, the company responsible for the project, are accused as material perpetrators of the crime – three of them have been detained and three have fled. Accused as intellectual authors of the crime is Héctor Julián Borjas Rivera, President of the Energisa company, which had received a $270 million loan from the Central American Bank of Economic Integration (BCIE) for the project. He has not been arrested. José Mauricio Hernández Cáceres was assassinated in November 2002. He was killed because of his public opposition to illegal logging in Olancho. In 2004, Alexis Días Cáceres was sentenced to 20 years in prison for committing the crime with two accomplices who were given lesser sentences. Within the communities in Olancho in which José was known, it is widely believed that the intellectual authors of the assassination are Rúben Antúnez (a cattle rancher), Francisco Zúñiga (mayor of the commun ity of Jano and an exploiter of the local forest timber) and Juan Lanza (a timber merchant). Carlos Arturo Reyes (pictured below left)Carlos Arturo Reyes (pictured right) was 23 years old when he was assassinated in July 2003. After the March For Life in 2003, his name appeared on a death list of environmentalists to be assassinated. Carlos’s brother, Francisco Nahín Reyes Méndez, is believed to be responsible for the assassination. Francisco is known for his violent character and is also believed to have killed his girlfriend. It is thought that he was used by the logging companies to carry out this crime, after which he fled to the USA. But he returned several months later and is still at large in Honduras. In December 2006, two members of the Environmental Movement of Olancho (MAO by its Spanish initials), Heraldo Zúñiga and Roger Iván Cartagena, were shot dead in the town of Guarizama, in Olancho. They were killed in execution style b y four members of the national police who are now in custody. The MAO has consistently campaigned against illegal logging in Olancho department since the year 2000 and has not been afraid to name the names of those responsible and to denounce corrupt officials of COHDEFOR, the Honduran Forestry Development Commission, which issues permits for felling. In May 2006 Heraldo Zúñiga stated that he had received several death threats after publicly exposing cases of illegal logging in the west of the department. That same month the Inter-American Commission on Human Rights (IACHR) requested information about this case from the Honduran government, which implemented protective measures for Padre Andres Tamayo, leader of the MAO. No protective measures for other members of the MAO were implemented. After the executions of the two MAO members in December 2006, the IACHR ordered the Honduran government to provide protection for other members of the MAO, but as ENCA members discovered during their visit in August 2007, no such protection has yet been provided. The litany of assassinations could continue, but space prevents it. Today’s most pressing concern is the list of those currently living under threat of death or of persecution and prosecution by the authorities acting upon accusations made by the illegal loggers and companies whose operations they oppose. Those under threat of death include those listed after the first March For Life in June 2003, when thousands of people walked more than 170 km from Juticalpa in Olancho department to Tegucigalpa to demand an end to the illegal timber operations in Olancho. The march was headed by Padre Andres Tamayo, the priest in the town of Salamá, who now has a permanent bodyguard of Honduran soldiers because of the death threats he has received. Padre Andres drove us around various parts of Olancho to show us the deforestation, the areas where the MAO and local communities have blockaded roads to stop the loggers, the places where unarmed local residents have experienced tense stand-offs against hired gangs armed with AK-47s and Uzis. But what disturbs members of the MAO most is the threats faced by other members of the MAO who have no bodyguards and no protection despite the IACHR’s instructions to the Honduran government. Recent history shows that the threats are not idle. The logging companies and all those who profit from the operation will stop at nothing to ensure the profits they gain from selling their timber to the USA and Europe. Casa Alianza UK Newsletter, February 2007. 35 per cent (1,193) of these were children under the age of 18. Comité de Familiares de Detenidos-Desaparecidos en Honduras (COFADEH) (2006) Erguidos Como Pinos: Memoria sobre la construcción de la conciencia ambientalista, Tegucigalpa, page 48.